Mao’s Last Dancer, Li Cunxin, will tour New Zealand this month, as part of the Asia New Zealand Foundation’s 20th Anniversary celebrations. Best known for his autobiography Mao’s Last Dancer – which also became a feature film in 2009 – Cunxin is now the artistic director of Queensland Ballet. During his trip to New Zealand, Cunxin will speak in Auckland and Christchurch to hundreds of secondary school children, and the dance and literary community. In Wellington, he will lead a private master class in classical ballet at the New Zealand School of Dance. In Auckland: Wednesday, April 2, 12–1 p.m., Victory Convention Centre, Freemans Bay. Register at asianz.org.nz. Courtesy of New Zealand School of Dance. New Zealand School of Dance third year students are creating their own dance works for the School’s Choreographic Season 2014. This year’s show, called The Residents, is set in a decaying, mysterious building with stairways to nowhere and some surreal goings-on. The students have generously been offered a set of an old house, originally created for a film shoot. 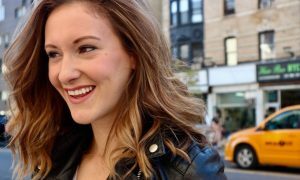 It fits their vision of the show perfectly, but to cover the costs of installing the set in the theatre safely, they need to raise $2,000 by April 13. The school is working hard to fundraise for the show, but as a charity there isn’t enough to cover costs, so the students have formed a fundraising team of their own. 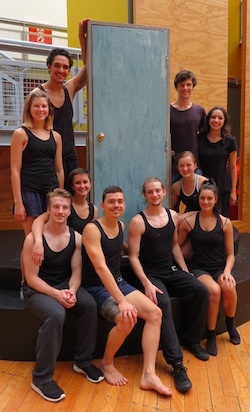 They have set themselves the unusual challenge of improvising 1,000 dance moves through the one existing door they have been using to rehearse the show. They’ll dance through the door on the buskers’ stage in Cuba Street from 1 p.m. on Thursday, April 10. They think it will take about three hours to complete the challenge, which they hope will raise enough money to make their vision a reality. To support the students, you can donate online at www.givealittle.co.nz. All donations towards this appeal will help the students build their set. The NZSD Choreographic Season show will be staged on May 16–24 at the New Zealand School of Dance in Wellington. For more information, go to www.nzschoolofdance.ac.nz . Dance Aotearoa New Zealand (DANZ) is looking for new board directors. They are interested in applicants with financial and accounting skills, and cultural diversity and industry knowledge. 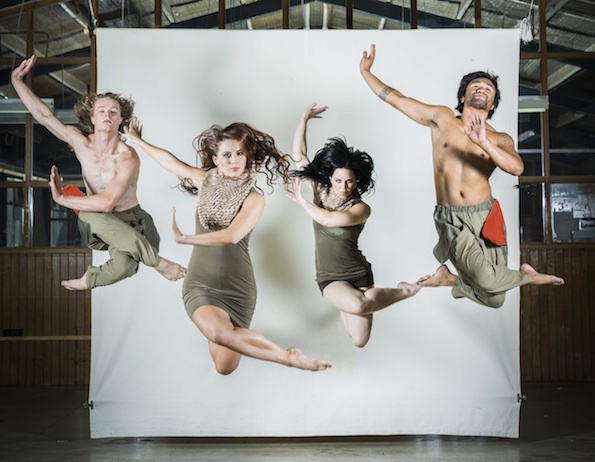 DANZ is the national service organisation for dance in NZ, and is recognised and funded under the Creative New Zealand Toi Totara Haemata programme. Established in 1993, DANZ is registered under the Charities Act. DANZ’s vision is to make dance an integral part of NZ’s artistic culture and everyday life by providing leadership, advocacy, connections, research and resources. 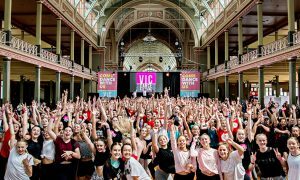 DANZ works across the diversity of dance in New Zealand; from contemporary to classical, hip-hop to cultural, and professional to recreational. This is an unpaid role, however any incidental costs incurred by board directors (including travel and accommodation to attend board meetings that are usually held in Wellington) will be covered by DANZ. For more information or to obtain an application form, email danz@danz.org.nz. Applications close at 5 p.m. on Tuesday, April 22. Atamira Dance Company, New Zealand’s leading Maori contemporary dance theatre, presents MOKO: an avant-garde showcase. Inspired by the traditional Maori art of body tattooing, MOKO is a conceptual dance performance spurred by the enticement of mana (spiritual power) where the patterns of Ta Moko explode – emotionally and literally – onto the stage in riveting three-dimensional forms. A showcase of fashion, form and force brought to life with immersive sound and lighting, MOKO takes audiences on an unforgettable journey. The company has collaborated with Saatchi & Saatchi Design, fashion house WORLD for costuming, M.A.C. make-up and Ryder Hairdressing. MOKO‘s choreographer Moss Patterson is world-renowned for his innovative, expressive and emotional choreography. In 2013, Patterson released a 17-minute dance theatre piece for Atamira entitled MOKO, which was selected to be performed at the prestigious Jacob’s Pillow Dance Festival in Becket, Massachusetts, USA. That invitation prompted the company’s tour of the U.S. last year. Following the tour’s huge success, Patterson has developed MOKO into a full-length performance this year. MOKO plays at SkyCity Theatre in Auckland on April 10-12. Tickets are available from iticket.co.nz. 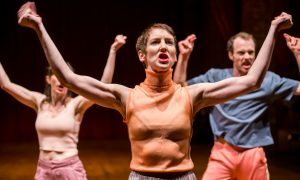 The New Zealand Dance Company’s heartland tour of Language of Living kicks off in Invercargill at the Southland Festival on Tuesday, April 29. The company will then head north with one-night-only performances in Christchurch, Nelson, New Plymouth and Tauranga. One of the most inspirational North Island dance tours of last year, Language of Living is a diverse programme of five works by five New Zealand choreographers. Tickets are on sale now and available from www.nzdc.org.nz. Photo (top): Courtesy of New Zealand Dance Company.